As a cake maker, at some point, you will consider attending your first wedding fayre. Sometimes these can be very lucrative but sometimes they aren't as successful as you might hope. 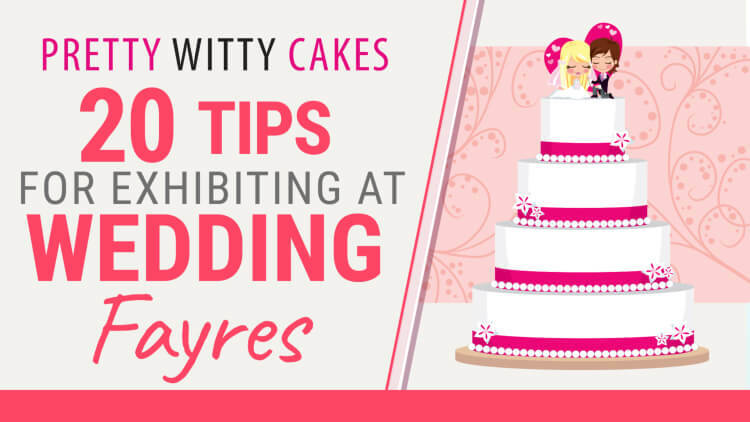 In order to mazimise your chances of a successful wedding fayre, here are my top 20 tips. Inside the Pretty Witty Academy, there are over 830 different cake tutorials for cake makers ranging from cupcakes to wedding cake recipes to business tutorials and everything in between. You need to plan and prepare in advance as much as possible. You will need display cakes and sample cakes. Display cakes can be made in advance on dummy cakes so avoid last minute stress by having these made up weeks before. Sample cakes should be made as close as possible to the event so they are fresh. These do not need to be perfect cakes as you can cut into small pieces purely for eating. Having said that, sample cakes cut in neat rectangles will make a far better first impression than torn off hunks of cake! If you want to give samples (which you should! ), make sure they are just small pieces. 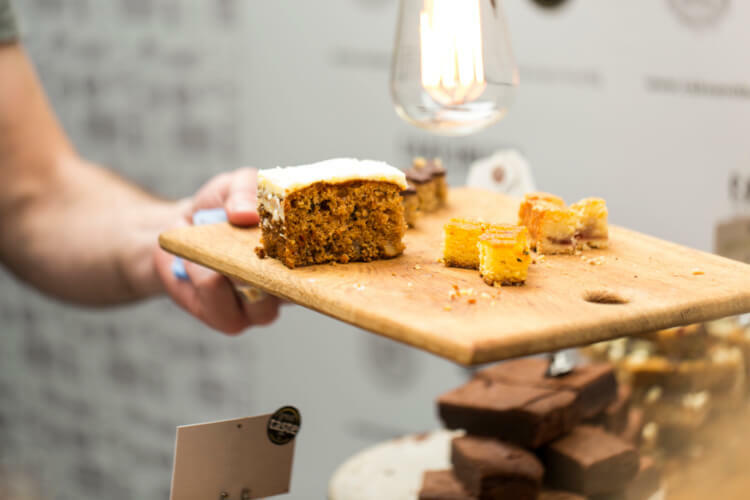 Everyone loves a freebie but if you offer an entire cupcake or a slice of cake to visitors, word will soon spread and everyone from the venue receptionist to the delivery men will pay you a visit to take some cake! Instead, just have small samples. Keep them boxed up (i.e. cutting cake for big cakes in a Tupperware box or cupcakes which are cut just moments before you need them) so they remain fresh. People have different tastes and you want to appeal to as many tastes as possible within your particular style. 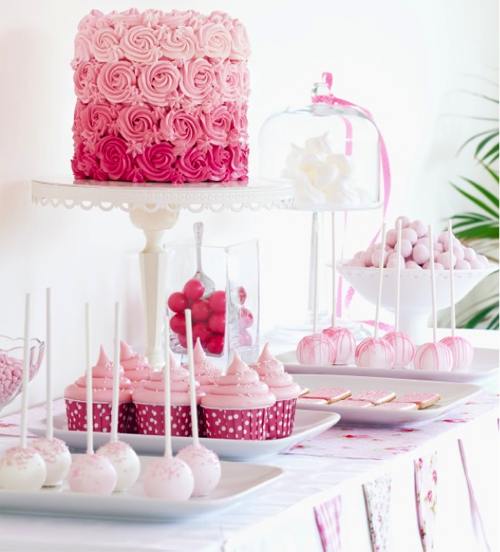 So, don’t limit yourself to all ivory cakes or all pink cupcakes….try and range of tones and styles. They will all be united by your own unique style. What you need to avoid is having several cakes of all different styles. Your style, your brand, your business image should be screaming in unity from your cake stand. Whilst you have sample cakes on display, no one really wants an "off the shelf" cake on their wedding day. Spend some time thinking how you will showcase that all cakes are made and designed to order and specifically for the bride. You want her to know her cake is unique to her, designed for her and therefore is worth paying more for. I am referring to display cakes. Whilst display cakes on dummies are great and re-usable, once they look a bit tatty or dusty, make new ones. A display cake needs to be amazing, not some antique that you have rolled out for years in a row. Why would anyone buy from someone who has an old, slightly worn looking display cake? It is all about quality and your finest work at a wedding fayre. Styles and trends also change so make sure you keep on top of these. Keep an eye on bridal magazines for annual colours that are in trend and use these within your own designs and styles. This is where your branding comes in. You will have a style and you will make cakes in that style. That means not every bride in the world will choose you and that is fine. If you like making white, delicate floral cakes, be confident in that. Don't have a Bollywood style cake in the middle if that is not your style or what you enjoy. Always create what you enjoy creating on your demo cakes. There is no point having cakes or cupcake towers that start at £500 if your customer demographic in the areas would never pay more than £300. 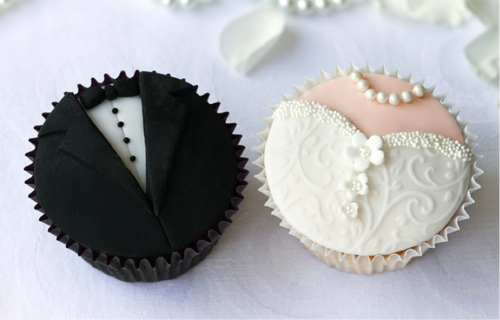 Do some research into previous wedding fairs – or even visit others close by – and find out what your competitors are charging for cakes. If you have a display of 50 cupcakes on a tower, make sure you know how much that tower would be for, for example, a 200 person wedding! There is nothing worse than a wedding cake maker that comes across as being unsure. Brides and Grooms like you to have confidence so they can rely on your to make their perfect cake. For many people, their wedding is the most important day of their life, and they do not want to hire a cake maker who is not confident. 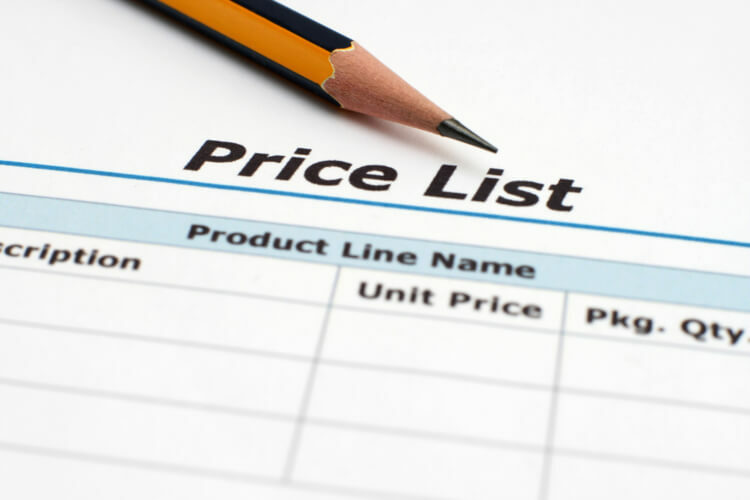 When working out your pricing, don’t forget the cost of delivery, stand hire, set up, and of course, how much deposit you require. This doesn’t need to cost the earth. You can have roll up banners made which you use over and over again. But choose a colour scheme and stick with it so your stand doesn’t look messy. Most exhibition organisers will ask to see a copy of your public and product liability insurance (in the UK) so make sure you have your insurance paperwork up to date before you apply for a stand. If you get to the venue and find you are in a broom cupboard, complain! You are entitled to a decent spot and you will have spent money securing that stand. Check where your stand is before the event so you can raise any issues before the big day comes – that way you are more likely to be moved. You will be standing up for a long time (even if you have a seat, you are unlikely to use it as you will be too busy trying to interest passers-by). It is really hard work standing up all day so make sure you are comfortable. Focus on your customers. If another cake company has a stand, don’t get distracted by going over there and leaving your stand unmanned. You won’t win a customer if you are too busy focussing on what your competitors are doing. You are unlikely to have time to go and get lunch mid-way through the event so plan ahead and have all food and drink you need for the day to hand. Make sure your stand is a show piece but also an experience that brides cannot do without. Offer brides water, sweets or business cards and fliers to encourage them to stay and chat with you. Do something to make yourself stand out a little by injecting some personality into your brand and stand. The chances are someone will be jealous of your stand and that person will probably make a loud comment near you which you don’t like. Keep your smile on your face at all times and just carry on. It will make the rude person more frustrated if you just ignore them! If you are not willing to make cakes below a certain price, set that before the day and STICK TO IT. In today’ society, people barter all the time. Don’t make yourself vulnerable by not knowing your minimum price and inadvertently agreeing to make a very cheap wedding cake. Tip #19: Put your smiley face on! Be super nice to the people in stands next to you. While they may be your competition, you will have much more fun if you relax, enjoy yourself and let the customers decide who to choose. If you are happy and having fun, this will come across very clearly and customers will be attracted to that. Most people don’t actually order a wedding cake on the day of a wedding fair. So, don’t be disheartened if you don’t actually sell there and then. The key is to capture people’s details and then email them a day or two later when they have had chance to consider the event. If you are off to a wedding fair soon, Good Luck!